Hundreds of couples gathered at Holy Name Cathedral for a very special Mass Sunday. CHICAGO (WLS) -- Hundreds of couples gathered at Holy Name Cathedral for a very special Mass Sunday. The North Side church held its annual Golden Wedding Anniversary Mass for couples who have been married at least 50 years. 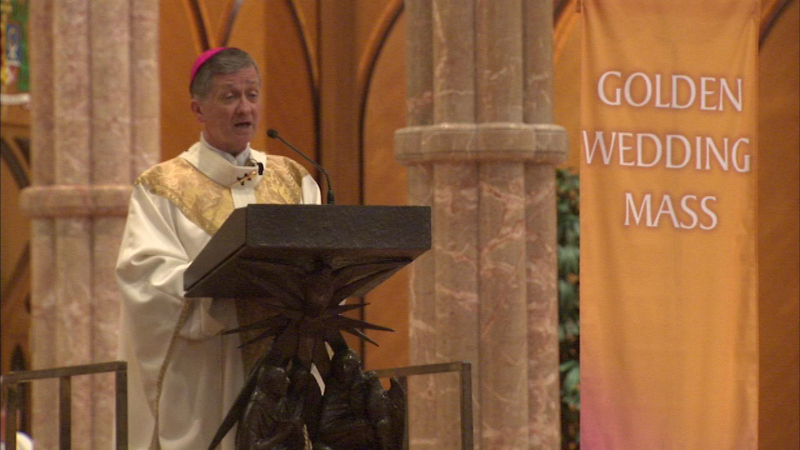 Archbishop Blase Cupich presided of the Mass, and a reception was held in the courtyard afterwards.